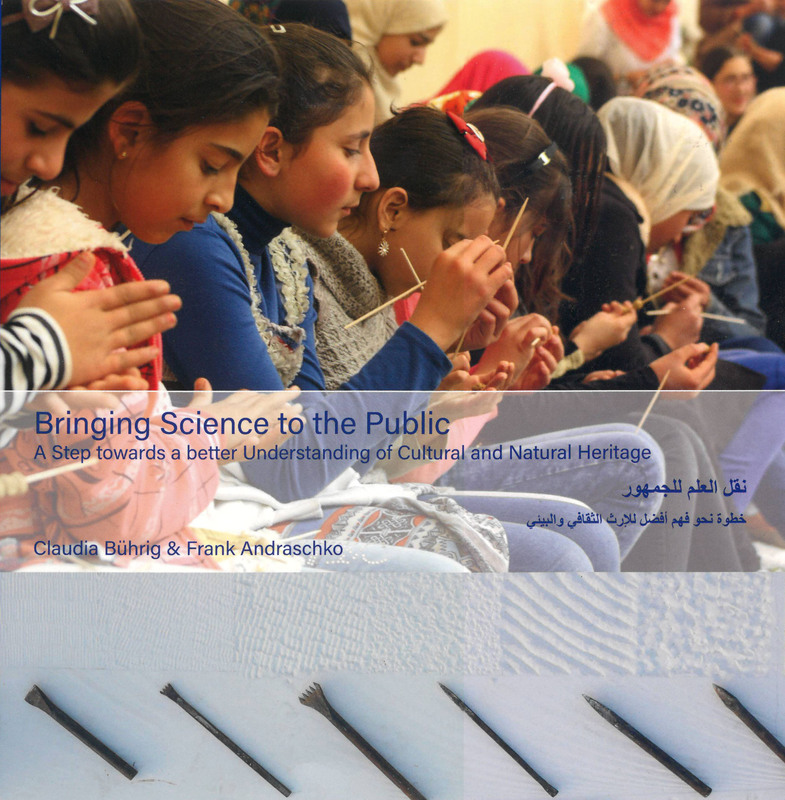 “Train the Trainers” is a project launched by the authors in Gadara, modern Umm Qays, in 2015 to raise awareness among local children and young people, and their parents, about the cultural and natural heritage in their region. The idea was that the local population and institutions based in the area would also have the chance to see the results of the scientific work. 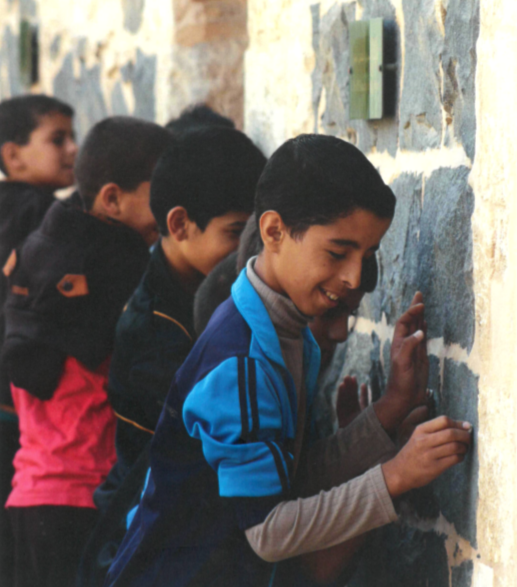 The programme is targeted primarily at teachers, conservationists, students, local figures and Syrian refugees in Jordan. The aim of the programme is to improve general knowledge about the cultural and natural heritage, but also to pass on practical skills in basic prehistoric techniques and information about the tools and techniques used in landscape and cultural conservation. A further important aspect of the courses is to integrate Syrian refugees into the local community. Gadara/ Umm Qays: aerial view from the south-west of the ancient hilltop settlement with the old village Umm Qays, known as ‘Hara Foqa’, from the late 19th/ early 20th century | © Schauerte, DAI. 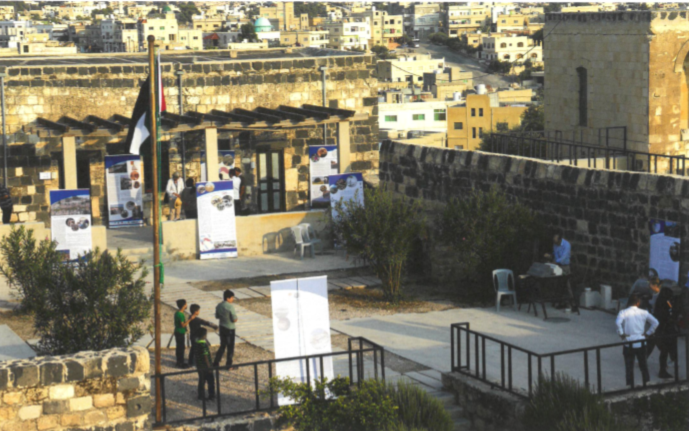 Six workshops were held between 2016 and 2018 to look at the history and prehistory of the region, the ancient city of Gadara and its surrounding area, and also at the village of Umm Qays, which was established in the late 19th and early 20th centuries, its houses and their decoration and furnishings, and at everyday life in the village. Some 30 participants tried out prehistoric techniques, such as making a fire with flint, steel and tinder. They also worked with flint and made necklaces from clay beads. At the same time, they got to know simple textile techniques and basket weaving methods. A large part of the programme’s interpretative work and didactic concept is based on the findings of experimental archaeology and over 30 years of research at the site. The programme also offers a further-training course as a cultural landscape guide; this course focuses on the close ties between nature, the environment and settlement throughout history, and also looks at the nearby ‘Yarmouk Forest Reserve’ conservation area. Activity day in Irbid Archaeological Museum for invited Syrian children from Mafraq | © Berger, DAI. As a result of a number of scientific investigations, old craft techniques which had been virtually forgotten have been rediscovered; these skills form part of the intangible cultural heritage. Pre – serving them is one of the project’s most important goals and is to be taught in schools and museums and shown to tourists and other interested parties. A total of more than 400 children and young people have taken part in the courses to date. 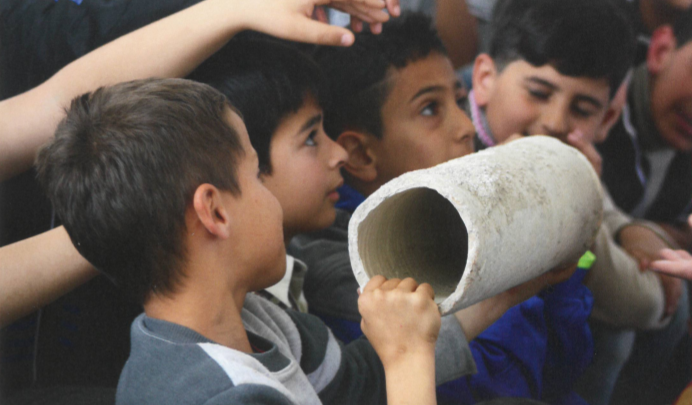 Hands-on experimental archaeological activities for the children: boys from Umm Qays hold and examine an original, ancient clay pipe | © Berger, DAI. A highlight of the three-year programme was the exhibition “Umm Qays – Old Tales”, which was held in one of the courtyard houses in the old village in October 2017 with a comprehensive programme of accompanying events. Bygone everyday routines were brought to life through photographs, a collection of historical household items, stories from the old village told to small groups and typical regional specialities cooked and baked by the participants themselves. “Umm Qays – Old Tales” exhibition in one of the early 20th-century courtyard houses | © Hartl-Reiter, DAI. The presentation in the old village focused on the people of the village and the region, their relationship to history and archaeology, day-to-day life in bygone days and changes to the environment and natural landscape. By taking part in experimental archaeological activities, children and young people from the local area, school groups from Harta and children from the SOS Children’s Village in Irbid learned to work with wool, clay and fire and tried their hand with bows and arrows. In other words, they learned through play about life as it used to be. 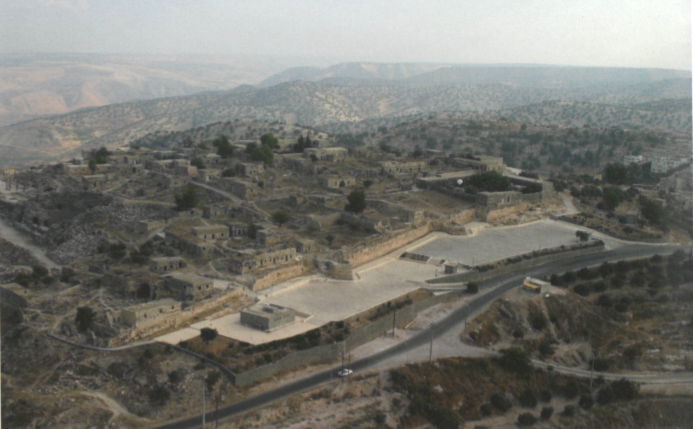 Providing managed access to research findings and conservation techniques is not in itself sufficient to ensure a sustainable, positive approach to the ruins of the ancient city of Gadara and the archaeological artefacts. That is why the project aims to give the local population a much deeper understanding of the need to protect cultural heritage. Children in particular are especially interested in the subject and act as bridges to the adults. 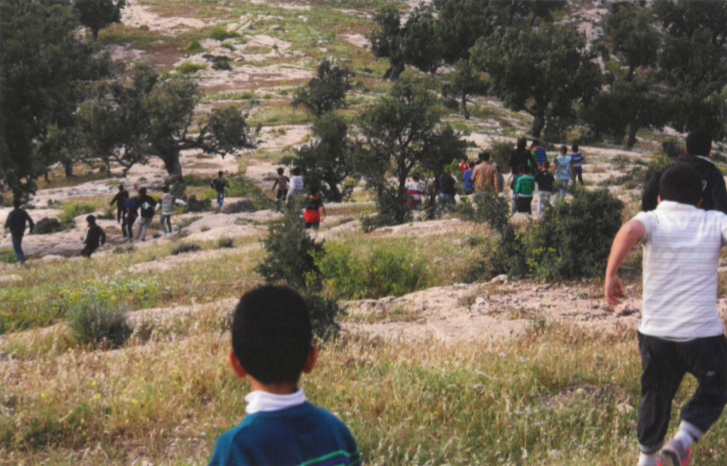 Children from Umm Qays in the Yarmouk Forest Reserve searching for the ancient water canals | © Berger, DAI. 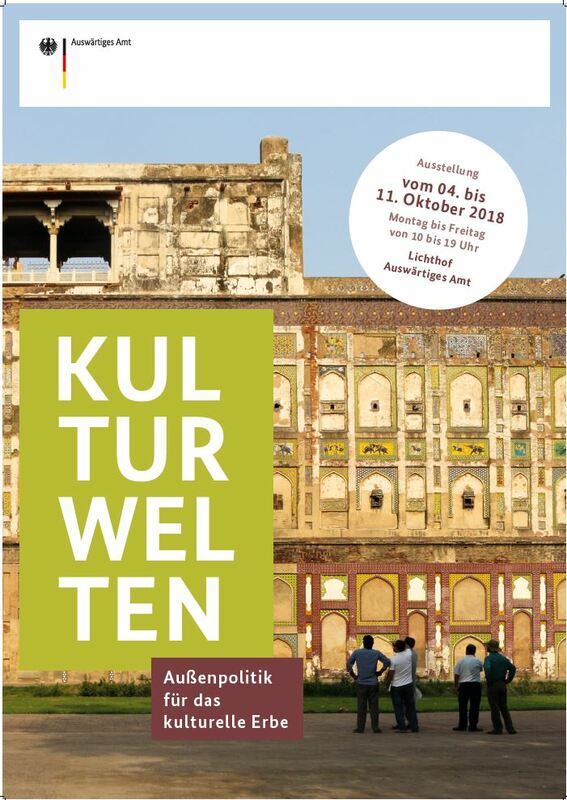 In November 2018 the ‚Open Day‘s‘ and the exhibition ‚Fara Foqa. Old Tales‘ took place the second time in the historic courtyards of Umm Qays. During the project the Syrian and Jordanian participants took on more and more responsibilities and organisation work. In the end schedule, staff organisation and preparations were laid completely in the hands of the participants, who then coordinated activities, as guided tours for children and experimental and archaeological hands-on programmes, entirely by themselves. Cover der Begleitbroschüre der Trainingsprogramme ´Bringing Science to the Public. A Step towards a better Understanding of Cultural and Natural Heritage´ (2018) |© Bührig – Andraschko. With the three-day event in November 2018 ‘Train the Trainers – Cultural Mediation for Children’ found a successful end. It is the result of the intensive cooperation of the colleagues, teachers and families of Umm Qays with German scientists. The ‘Train the Trainers’ programme was very well received by participants, visitors and regional media. It served as a model for several other projects of national and international organisations and opened up another access to research and the preservation of historical monuments. Title image: Impressions of the ‘Umm Qays – Old Tales’ exhibition. Activities for invited school groups from Harta and the SOS Children’s Village in Irbid: children try out wet felting |© Berger, DAI.